Broadcaster visits Oxford to talk at Experience Oxfordshire’s Cultural Platform – and sing Bohemian Rhapsody for Jericho Canal Trust. 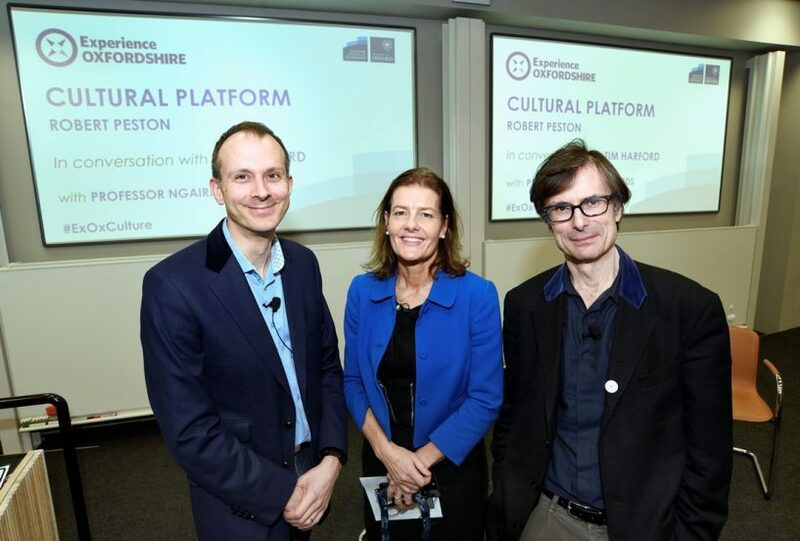 Robert Peston, political editor of ITV News, appeared at the Blavatnik School of Government yesterday, February 23, as special guest speaker at Experience Oxfordshire’s annual Cultural Platform. Peston was grilled by Financial Times columnist, Tim Harford, host of Radio 4’s More or Less programme, covering topics ranging from Brexit and the 2008 banking crisis to Donald Trump and Arsenal football team. The event, which attracted more than 100 leading figures from Experience Oxfordshire’s Partner network, Oxford’s arts and local business community, is part of Experience Oxfordshire’s commitment to promoting culture in the county. The event was chaired by Richard Venables, of VSL & Partners, who is a Board Member of Experience Oxfordshire and OxLEP (Oxford Local Enterprise Partnership). Professor Ngaire Woods, Dean of Oxford University’s Blavatnik School of Government also joined the question and answer session, fresh from hosting talks with global leaders at the World Economic Forum in Davos, Switzerland. 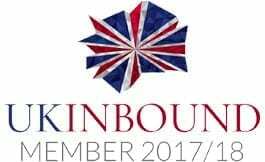 Representatives from Oxfordshire’s tourism, heritage and cultural sector were joined by councillors from local authorities across the county, as well as representatives from Oxford Economics and Oxford’s two Universities. The event was supported by VSL & Partners, Oxford City Council, Oxford Economics and Richardsons Chartered Accountants. After speaking at the Experience Oxfordshire Cultural Platform, Robert Peston kept a promise made to BBC Radio 4’s Eddie Mair and sang Bohemian Rhapsody, Queen’s famous rock anthem with the Jericho Singers at a musical celebration of the Oxford Canal at St Barnabas, the canalside church. While not quite achieving the decibels of Freddie Mercury, Peston received an enthusiastic reception from the 200-strong audience. Radio 4 listeners will be able to judge from themselves on today’s PM. Tim Harford is an economist, journalist and broadcaster. He is author of the million-selling The Undercover Economist, a senior columnist at the Financial Times, and the presenter of Radio 4’s More or Less. He was Economics Commentator of the Year 2014, winner of the Royal Statistical Society journalistic excellence award 2015, and also won the Society of Business Economists writing prize 2014-15. Professor Ngaire Woods is the inaugural Dean of the Blavatnik School of Government and Professor of Global Economic Governance. She has served as an Advisor to the IMF Board, to the UNDP’s Human Development Report, and to the Commonwealth Heads of Government. She was a regular presenter of the Analysis Programme for BBC Radio 4, and in 1998 presented her own BBC TV series on public policy.